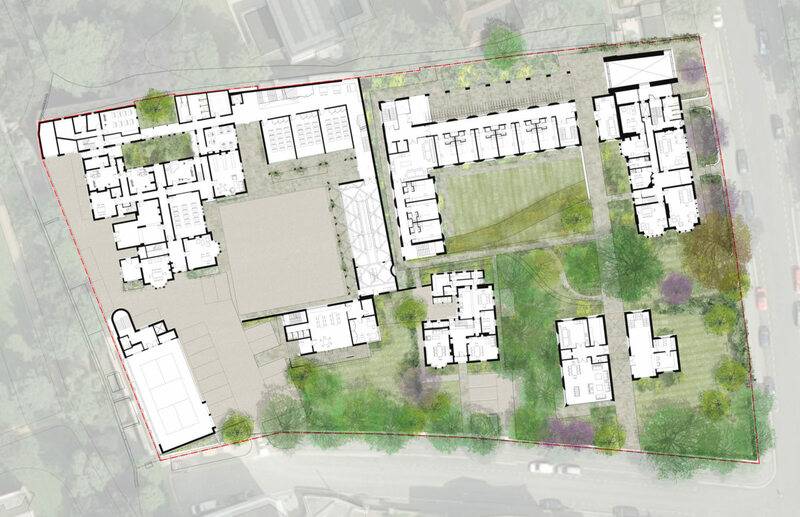 In 2015 New College Oxford staged an invited competition to increase residential capacity at its Savile Road site, and to reorganise the adjoining New College Prep School. 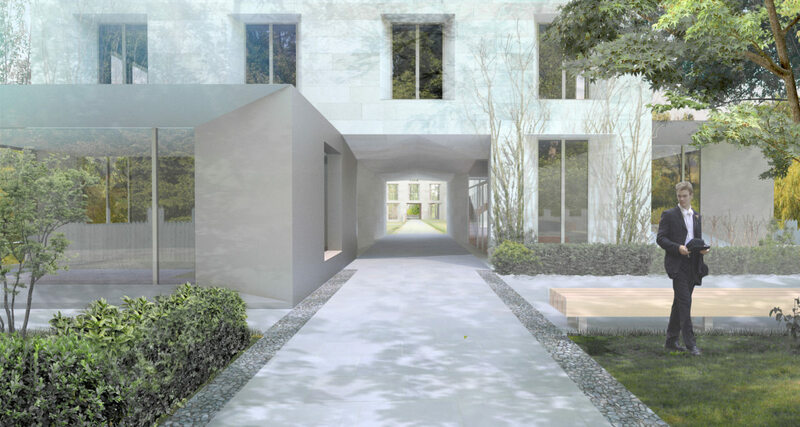 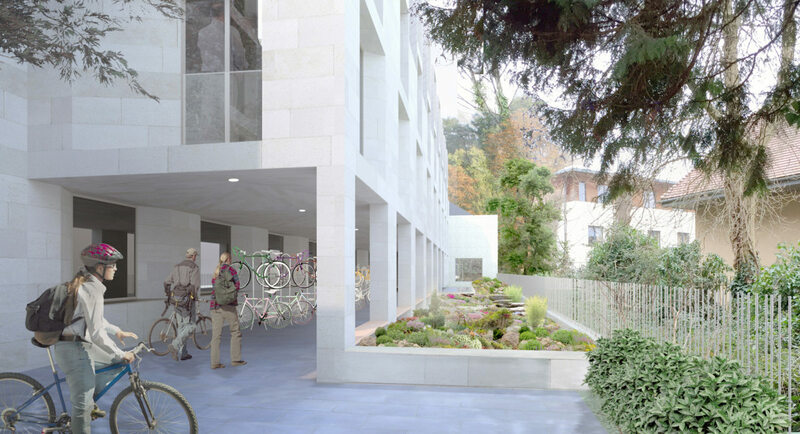 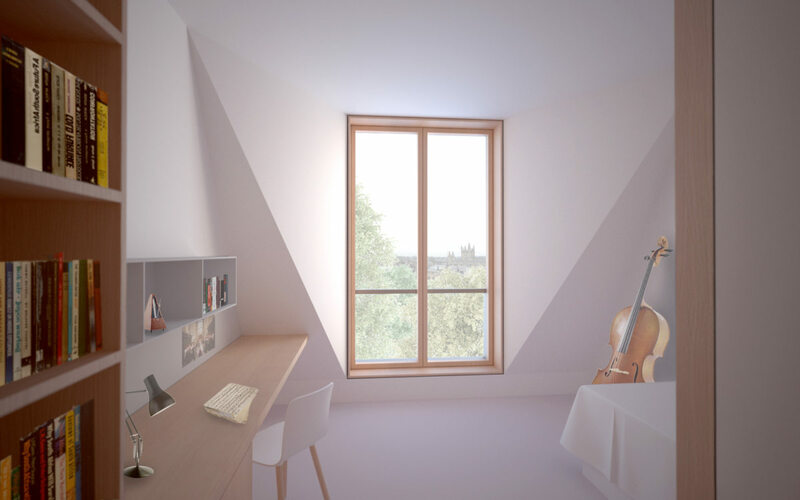 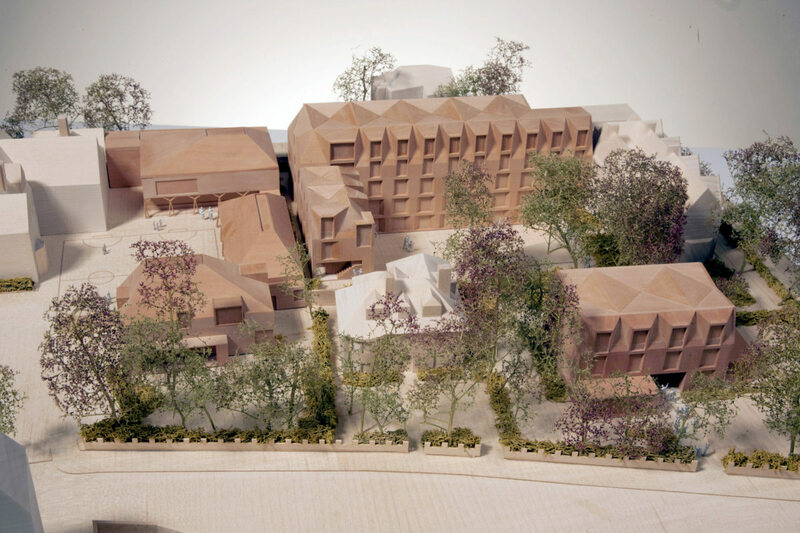 As a shortlisted architect, Alison Brooks Architects vision for New College’s New Quad draws on both its great Quad architecture and its layered sequence of courts and gardens, each of a different scale and character, to express clear new identities for the College Halls of Residence and Prep School. 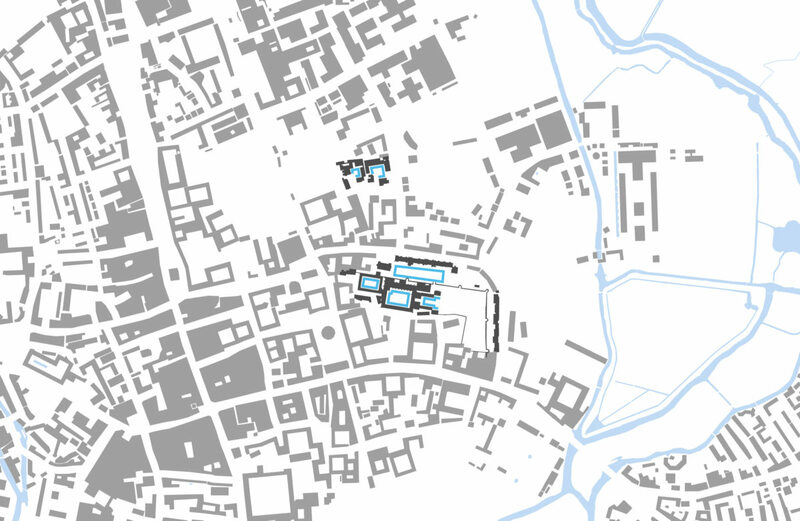 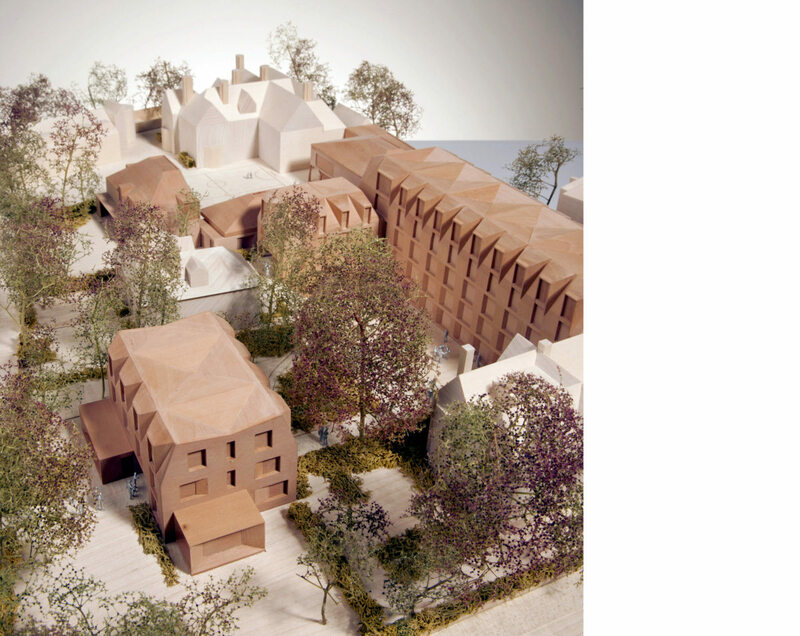 The masterplan proposes a layering of buildings and landscapes to create a clearly orchestrated progression from suburban threshold to two Quadrangles of distinctive scale and character. 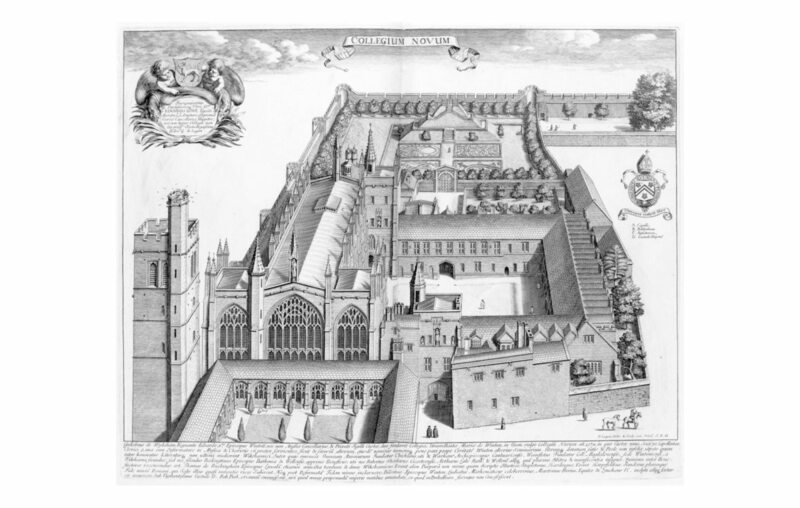 One green and Collegiate in scale, one a courtyard playground, each Quadrangle is framed by buildings that subtly refer to New College’s dramatically juxtaposed volumes, hidden lanes and distinctive, castellated skyline. 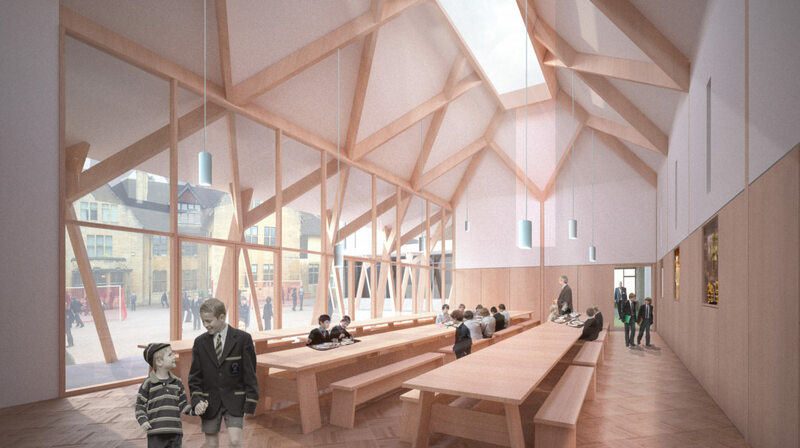 ABA’s College Quad offers a new porters’ lodge, 83 student rooms and support spaces, while the Prep School is enhanced with a 190 seat multi-purpose hall, three classrooms, pre-prep, two staff flats, an 80 seat dining hall and kitchens, and refurbishment of the existing 1902 Nicholson and Corlette designed Prep School. 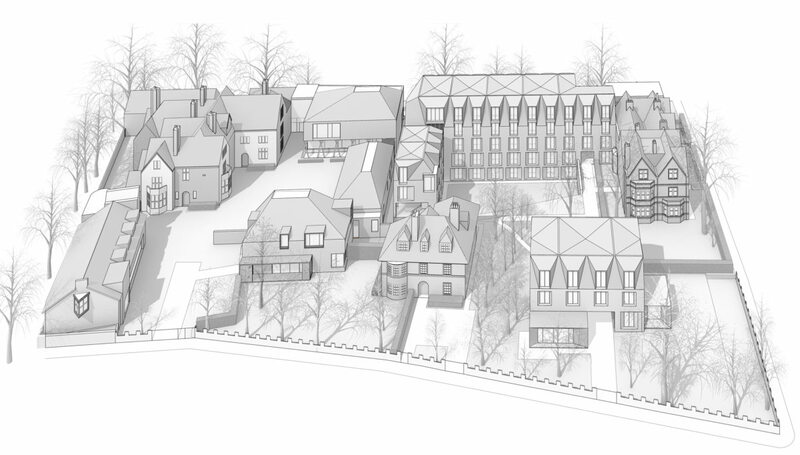 Two new ‘collegiate villas’ to either side of 1 Savile Road act as thresholds to the site: one acts as frontispiece to a grand, axial collegiate quadrangle and the other as gatehouse to the Prep school’s cluster of pavilions. 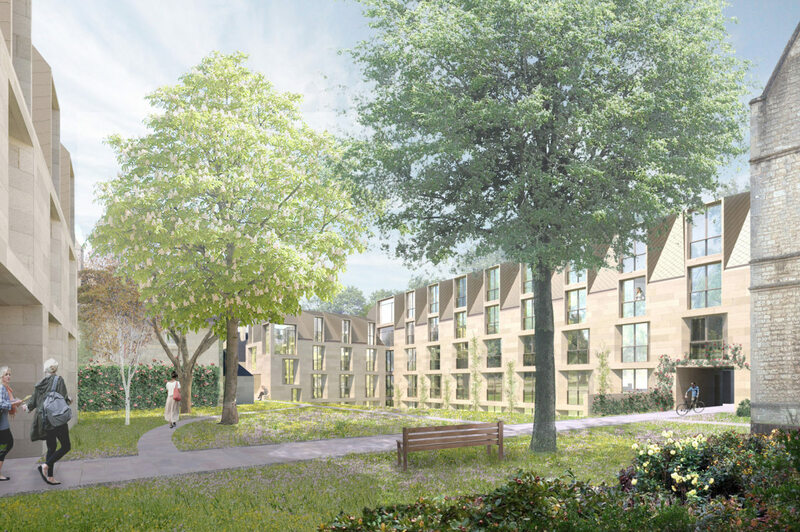 A second layer of more intimate gardens and courtyards extends and enriches the range of landscapes to ensure every opportunity offered by the existing gardens is optimised: Fellow’s Garden, JCR Garden, Woodland Garden, Nursery Garden and Service Court. 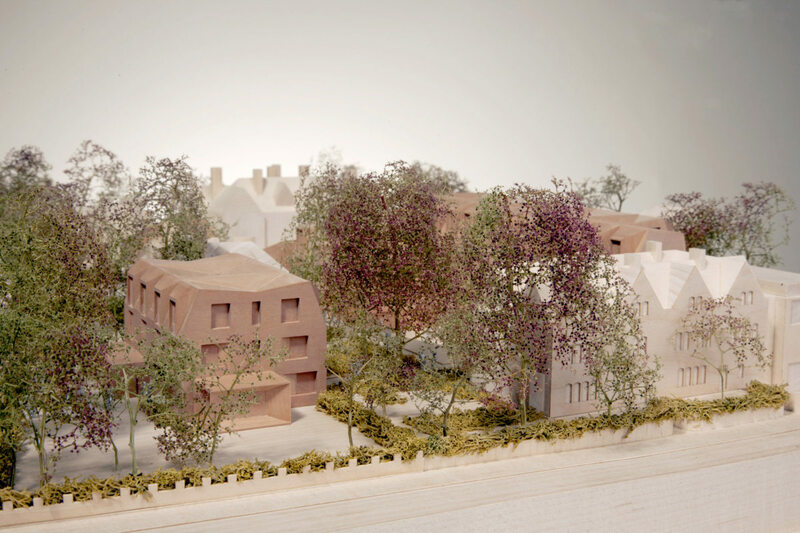 This second layer of landscaped ‘rooms’ ensures that the domestic character and scale offered by the gardens of the Savile Road villas is retained, whilst evolving to reflect their new uses.